Join us for our monthly featured poet/open mike series that happens every 4th Tuesday of the month. Our featured poet, Alessandra Lynch will read from her new book, Daylily Called It a Dangerous Moment, which was published this June by Alice James Books. Alessandra Lynch is also the author of Sail the Wind Left Behind and It was a terrible cloud at twilight. 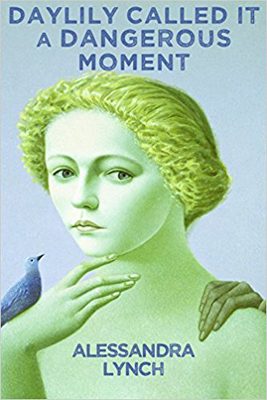 Her work has appeared in the American Poetry Review, Antioch Review, The Colorado Review, The Cortland Review, The Massachusetts Review, Ploughshares, and other literary journals. Alessandra was born on the East River and now lives with her husband and sons by a stony creek, two hackberry trees, and a magnolia trio. She teaches in Butler University’s undergraduate and MFA programs. 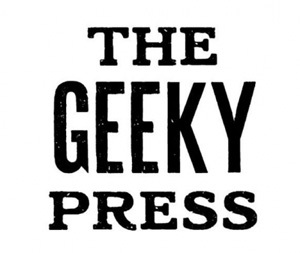 The Geeky Press is excited to announce a dual-release party! We're releasing Dear America: Reflections on Race, our second anthology book produced by writers from across America (and one from outside the country). And we're releasing HoosierLit (Fall 2017), our second literary magazine written by writers with an Indiana connection. Our friends from Vouched Books Indy will be there. We'll have all of our books on sale. We'll have a few adult beverages. And we may have a reading or two as well! Bring your friends. Come celebrate with us. 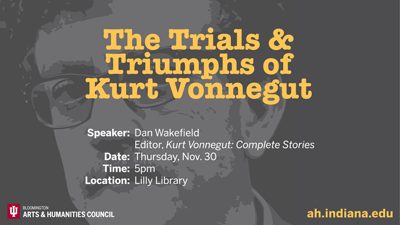 Dan Wakefield will be speaking on “The Trials and Triumphs of Kurt Vonnegut” in The Lincoln Room of The Lilly Library. 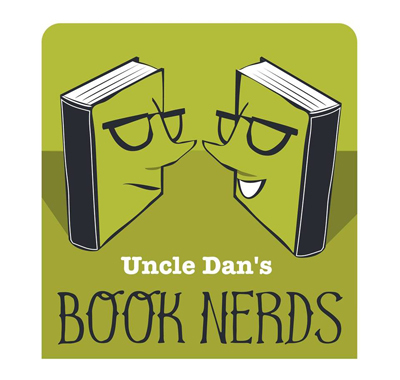 “Uncle Dan’s Book Nerd Night” is for all who enjoy reading and talking about books. This is not a “Book Club” because you don’t have to read a particular book to come and enjoy the talk and camaraderie. On “Book Nerd Night” one Sunday evening each month from 6-8pm, Uncle Dan Wakefield and one of his writer friends will not only talk about a book they have written, but also about the books that inspired them, their favorite authors, the peaks and pitfalls of being a writer, (which will include answering some of your questions) and all things literary, inspirational, perhaps even revelatory, and most of all (hopefully,) entertaining! Book Nerd Night will be at upstairs dining room (The Oxford Room) of Aristocrat Pub (52nd and College), on second floor, private entrance to left (south) of Main Entrance to restaurant. Since bar is in separate room, college and high school students will be welcome at the event! (They can eat but not drink alcohol of course.) Check menu of The Aristocrat – everything from burgers to full course dinners of steaks, chicken and fish, and 60 Craft Beers! Guest Readers to be announced. Open Mic as usual! Come early to sign up for Open Mic! Author Nancy Poling will be signing her book, Before It Was Legal: A Black-White Marriage 1945-1987, the fascinating insight of a marriage faced with incredible challenges. Kellie Wells the 2017 Richard Sullivan Prize Winner for her short story collection God, the Moon, and Other Megafauna reads at Notre Dame. She graduated from the University of Kansas with a BS in Journalism and a BA in English. She received MFAs from the University of Montana and the University of Pittsburgh, and a PhD from Western Michigan University. 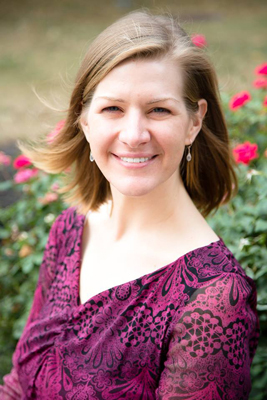 Previously the director of the graduate writing program at Washington University in St. Louis, Wells now teaches at the University of Alabama, where she is also a member of the advisory board for The Tusculum Review. 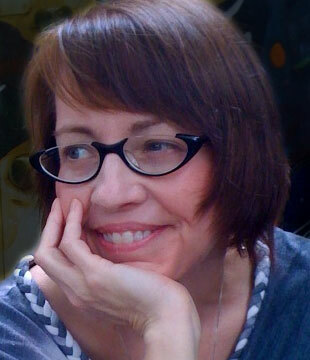 She also teaches in the low-residency MFA program at Pacific University. Thursday, December 7 @ 6:30 p.m.
Sarah E. Morin will read her works geared for children of all ages. She has three great passions in life: God, books, and working with young people. She serves as a kidwrangler at Conner Prairie History Museum in Fishers, Indiana. She writes and performs unruly fairy tales and poems and is a regular performer at Fairyville at Nickel Plate Arts. Her first fantasy novel, Waking Beauty, was an ACFW Genesis finalist, INSPY Longlist selection, Christy finalist, and Realm Makers winner of Best Editing. She is a member of American Christian Fiction Writers and National Federation of State Poetry Societies, a state officer of Poetry Society of Indiana, and Most Noble Emailer of Noble Poets. Together with her artist friend Alys Caviness-Gober, she founded NICE (Noblesville Interdisciplinary Creativity Expo) and edits The Polk Street Review, an anthology of local writers. This summer she and her husband, Dr. Paul “Spike” Morin-Wilson, are launching the Hamilton County branch of Page & Stage Theatre Co, a threatre-for-literary youth camp. Her latest project, thanks to a grant from Indiana Arts Commission, is publishing a children’s picture book for her poem, “Rapunzel the Hairbrained” (coming April 2018). As the final event of her term as Indiana Poet Laureate, Shari Wagner will host a poetry reading to honor the legacy of Levi and Catharine Coffin and the hundreds of freedom seekers who found refuge in their home. This event also commemorates the first year anniversary of the Interpretive Center. Featured poets will share poems related to social and environmental justice. These poets include Angela Jackson-Brown from Muncie, JL Kato from Beech Grove,and Linda Neal Reising and Jessica D. Thompson from New Harmony. Audience members are invited to read a poem relating to social justice or the environment at the open mic that follows the featured readers. Refreshments will be provided and featured poets will be available to sign and sell their books. Tours of the Coffin House will be available before and after the program, 10 AM-5 PM. The poetry program is free but tours are $10 Adult, $8 Senior (Age 60 +) and $5 Child (3-17).